You can integrate the Coveo .NET search interfaces in your Sitecore website to provide a better search experience to your website users (see Integrating the Coveo .NET Search Interface in a Sitecore Website). You can also integrate the Coveo search in the Sitecore Content Editor so that people contributing to the site content can also take advantage of the Coveo search features and more easily find information in the whole content, not just published content. Note: The integration described in this topic works with Coveo .NET Front-End 12.0.61+. Tip: Typically, a Sitecore site is managed with a Master database containing the whole content and a Web database containing only the published content. You can create separate sources for these two databases (see Configuring and Indexing a Sitecore Source topic in PDF), and then assign the Web source to the scope of the search interface integrated in the website, and the Master source to the scope of the search interface integrated in the Content Editor. This way, all of the unpublished content is searchable from the Sitecore Desktop. If not already done, install the Coveo Front-End components on your Sitecore server (see Installing Coveo .NET Front-End). Log in to the Sitecore Desktop user interface using an administrative account. 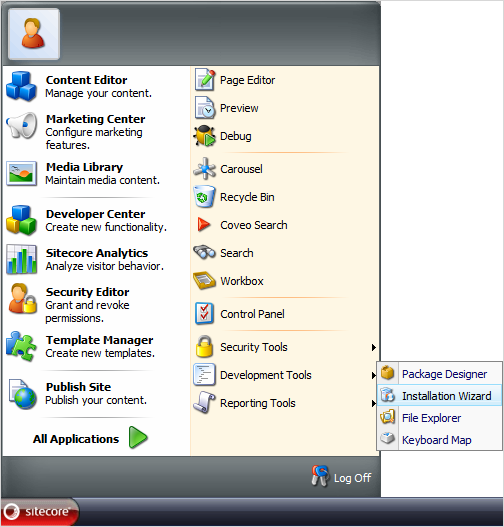 On the Sitecore Desktop, select Sitecore > Development Tools > Installation Wizard. In the Welcome to the Install Package Wizard screen, click Next. Note: Use the Sitecore6.0CoveoContentSearch.zip package only when you use the Sitecore legacy connector (see Sitecore Legacy Connector). Note: If an Access Denied error is displayed for the bin_install folder while installing the package, verify the security permissions for ASP.NET in the bin folder of Sitecore or install the files manually. Select the Restart the Sitecore client option, and then click Finish. Using an administrator account, connect to your Sitecore server. In IIS, locate and right-click the website that corresponds to your Sitecore instance, and then select Add virtual directory. In the Alias box, enter Coveo. In the Physical path box, enter [.Net_Front-End_Path]\Web\Coveo, typically C:\Program Files\Coveo .NET Front-End 12\Web\Coveo. 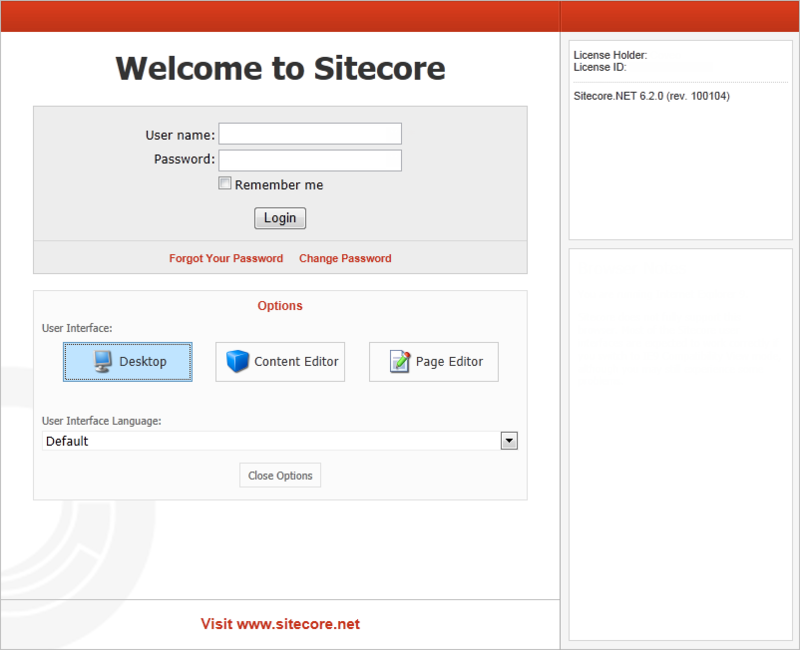 Example: For an instance named Sitecore, the file is located in the C:\inetpub\wwwroot\Sitecore\WebSite folder. Copy the following code and paste it just before the </configSections> tag. Copy the following code and paste it just before the </controls> tag, a child of the <pages> tag. Copy the following code and paste it just before the </namespace> tag, a child of the <namespaces> tag. Copy the following code and paste it just before the </assemblies> tag, a child of the <compilation> tag. Copy the following code and paste it at the end of the file, just before the </configuration> tag. Copy the index certificate file [Index_Path]\Config\Certificates\cert-iis.p12, typically C:\CES7\Config\Certificates\cert-iis.p12. Paste the certificate file on the Sitecore server into the Sitecore instance website. Example: For an instance named Sitecore, the default path is C:\inetpub\wwwroot\Sitecore\Website. You can also rename the certificate file such as ces-certificate.p12. Open the Sitecore instance web.config file. hostname=”MyCoveoMasterServerHostName” where you replace MyCoveoMasterServerHostName with the name of your Coveo Master server or localhost when CES and Sitecore are on the same machine. sslCertificatePath=”C:\inetpub\wwwroot\Sitecore\Website\ces-certificate.p12”, ensuring that the path points to your certificate file. port=”52800”, the default CES port number. Example: When CES and Sitecore are on the same server. Using a text editor, open the CoveoSearch.aspx file. 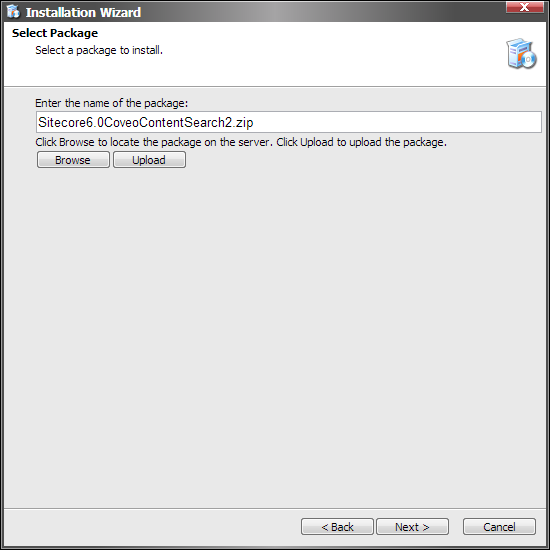 Example: For a Sitecore instance named Sitecore, the file is typically located in the C:\inetpub\wwwroot\Sitecore\Website\sitecore\shell\Applications\Coveo\ folder. where you replace YOUR SITECORE SOURCE NAME HERE by the name of the source you created to contain the whole Sitecore content, typically indexing the master database.